Emily is back in this beautiful sequel! Help the young mother to make her plans happen. As Emily, you will sell food to earn money and make sure to reach each day's target amount. Your goal is to take orders, prepare the food and do it as quick as possible. In that case, your customers will be happy! 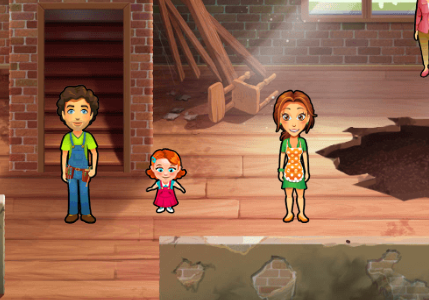 Play Emily's Home Sweet Home for free and enjoy!